Come out and try your first experience with Shiatsu Therapy at school. Just $40 for a 75-90 minute treatment with one of our caring students. The School Clinic is available at North Vancouver Main Campus. Please check the video below for more details. 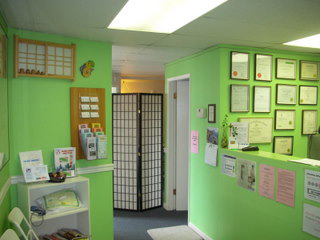 Our North Vancouver clinic is situated close to the Lonsdale Quay. It is accessible by car (about 5 minutes from the Lions gate or Second narrow bridges) or public transportation (2 blocks from the Seabus Terminal). We accept cash, debit, Master and Visa card. First-time clients should arrive 15 minutes early to fill out a client history form. Please come and wear or bring light, comfortable sleeved tops, long pants and socks. Students will not be able to treat anyone who is pregnant. If you are unable to attend your scheduled appointment, please contact us as soon as possible. This is to allow the institute staff time to contact other clients who are on a waiting list for an appointment. If you are late for more than 15 minutes of your scheduled appointment and do not contact us, we may cancel your appointment. You can get the current availability on Twitter!